In 1965, Mary Ann Titrud Springer represented Todd County as Minnesota’s Princess Kay of the Milky Way. She was from a little village and the first person to have her bust carved out of butter and placed on display at the MN State Fair. 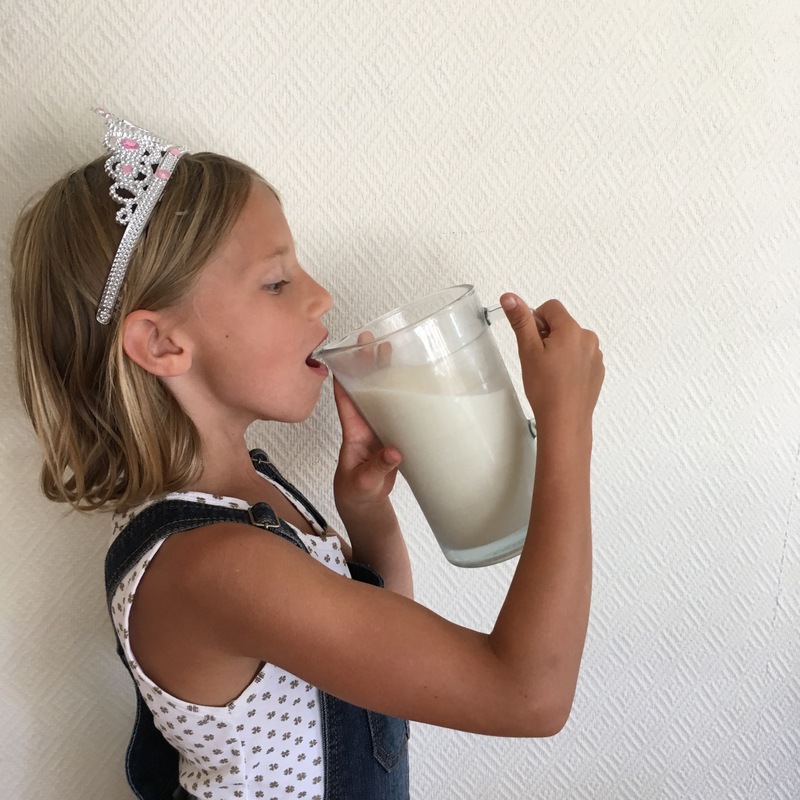 Over 50 years later, in a little village in Sweden, two friends played Dairy Princess for the day. They milked the cows until the job was done. They laughed, they worked and they loved it. Later, I was told that a job is only work when you have to do it alone. When you have help it is play. No butter carvings of these girls. They now understand the meaning of från jord to bord (from the ground to the table). The next day we separated the cream from the milk and made different dairy products. We ended with Swedish pancakes. They were so sweet, they did not need sugar.